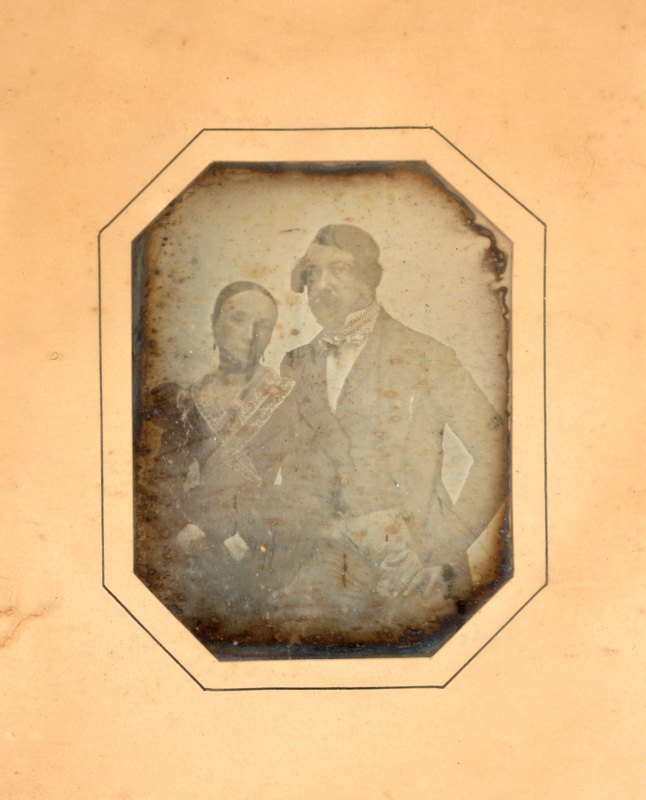 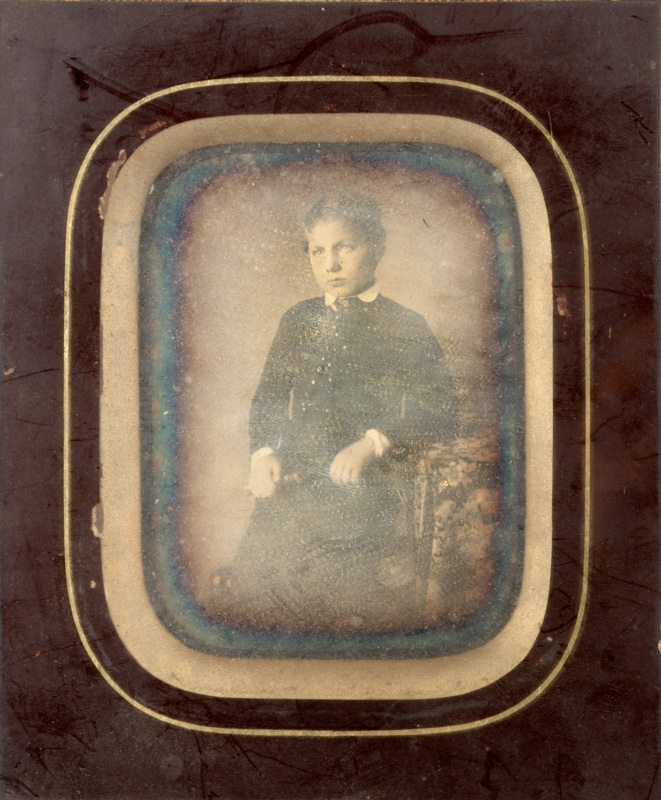 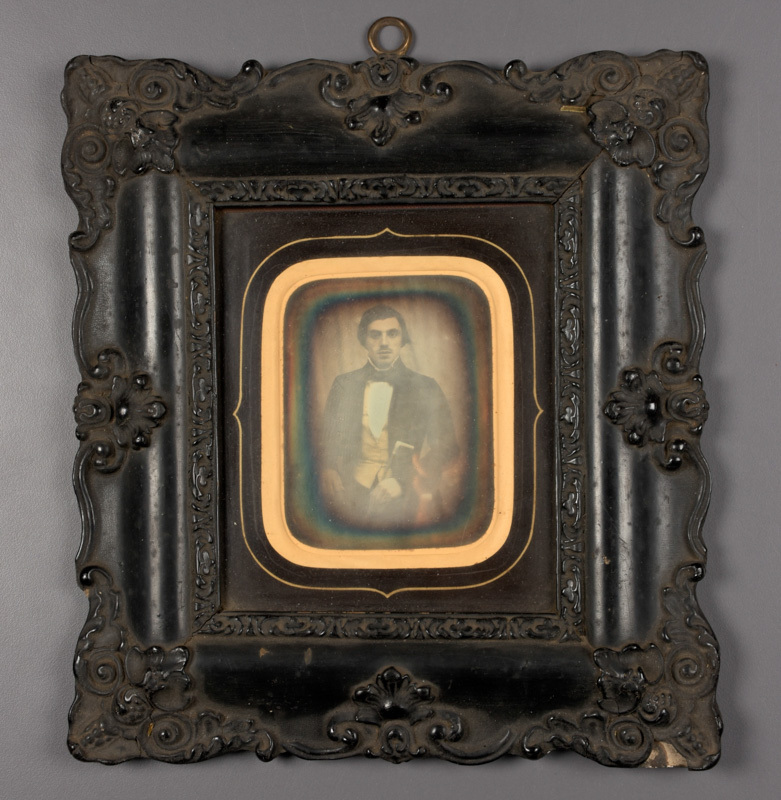 Description: - 6 quarter plates (9,5 x 6,5 cm) : elderly couple, hand-colored both in one modern frame; a young man in a black contemporary frame; a young boy (age 7, Mr. Ed. 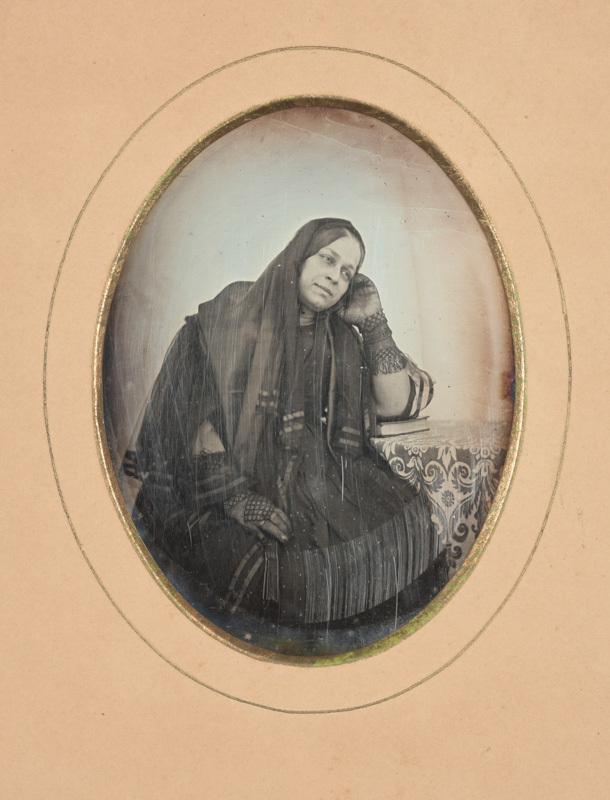 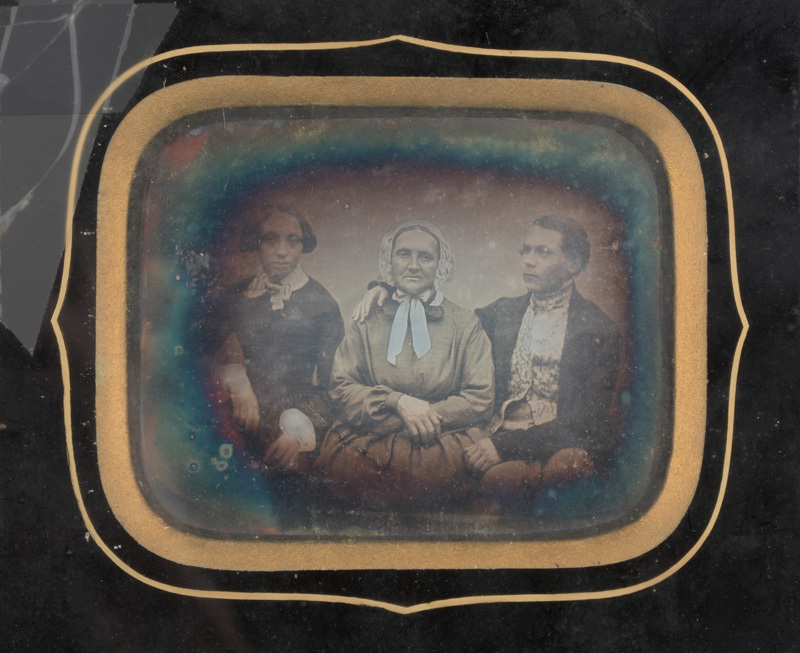 Brehier); family portrait of three people; a middle aged woman. 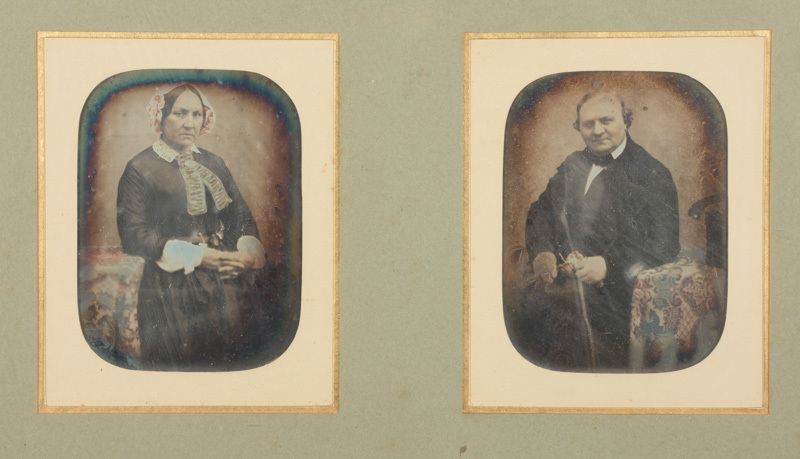 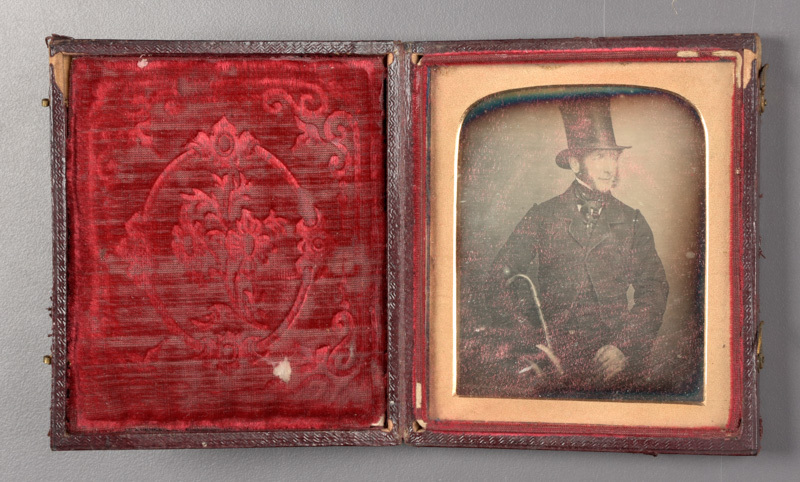 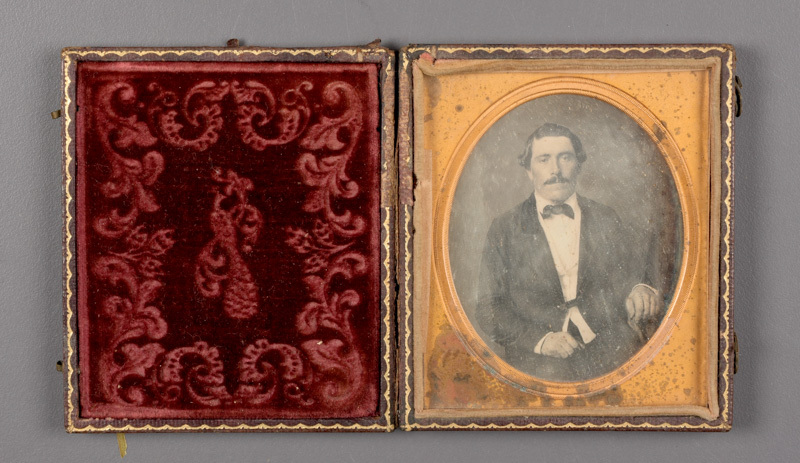 - 4 sixth plates (8 x 7 cm) : three middle-aged men each in a contemporary case and a middle-aged couple.